The Breeders Cup is the culmination of the horse racing season in North America, with the Breeders’ Cup Classic having the second biggest purse of any horse race in the world. Only 14 starters are allowed in each of the 15 Breeders’ Cup races and the horses are selected based on their performances in the Breeders’ Cup Challenge Races throughout the year. Each of the races have some of the best horses from the year running so this is a two day event in November that should never be missed by a serious horse racing fan or bettor. 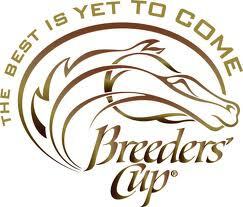 Keep up with the action at the official Breeders Cup site. Bovada.lv is our recommended online sportsbook for betting on the Breeders’ Cup. Bovada takes bets on every horse race at Santa Anita Park and this of course will include each of the Breeders’ Cup races this year. Bovada is a trusted online gambling site and has a great reputation thanks to their parent company, Bodog.eu. Bovada also gives 3% rebates on all straight horse racing wagers and 5% rebates on all exotic bets, while also offering new sign ups a free bet equal to 20% of your initial deposit up to $100. Bovada only accepts American residents so those of you who do not live in the States I recommend their parent company Bodog.eu. Bodog also offers the same rebates, but offers an even better bonus of 10% matching with no maximum. Open an Account – Click here to visit Bovada.lv (or Bodog.eu) and open an online sports betting account. Deposit – Log into your newly created account and make a deposit from one of the many banking options available. Place Your Bet – Now that you have funds online you can place your Breeders’ Cup bets! Click on the ‘Horses’ tab to head over to the racebook section and then click on Santa Anita Park from the left sidebar. This will bring up all of the Breeders’ Cup races for the weekend, so find the races you like and place your bets! The Breeders Cup is such a huge event that Bovada.lv will also be offering fixed odds for some of the races leading up to race day. You can find these odds by clicking on the ‘Sports’ tab then ‘Horse Racing’ from the left sidebar. Remember that the odds in the sportsbook will be fixed odds, as opposed to the parimutuel odds you will find at the racebook. The Breeders’ Cup Championships were created as a year-end championship for North American horse racing, but with the huge prize pools the Breeders’ Cup also attracts some of the best horses from around the world. The first Breeders’ Cup was held in 1984 and before being expanded to two days in 2007 it was considered the richest day in sports. NBC held the television rights for the Breeders’ Cup from its inauguration until 2005, but in 2006 ESPN took over the rights and signed a contract through 2013. That being said the last two years of the ESPN contract (2012 & 2013) have been superseded by a new NBC contract so the 2012 Breeders’ Cup can be found on NBC. To learn more about this history check out the Breeders’ Cup Wiki page.